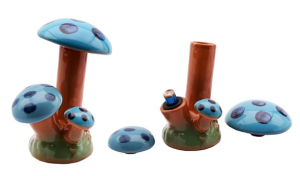 Plastic bongs are the cheapest option, making it the go-to choice when buying a disposable bong. Due to the nature of plastic, they are very durable. They’re also translucent, so you can see the quality of bong water much easier. However, be prepared for a bit of a diluted taste of the herb you’ll be smoking. Usually smaller than other bongs due to their weight. Known for their various shapes and durability, they’re great for decoration and display. The flipside of ceramic bongs is the inability to see the water, therefore making it even harder to clean. Somewhere in between a ceramic and a plastic bong in terms of weight, bamboo bongs provide the most authentic feel to your smoking experience. 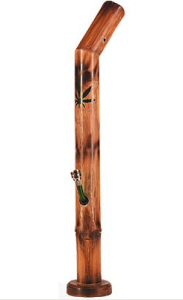 With a thousand-year-old tradition, these bongs come with beautiful carving designs. They can also come with a bowl piece. That being said, a glass bong is still considered as the best all-around option when it comes to choosing a bong. Color? You can color glass to anything you want unless you prefer pure glass bongs for transparency. Shape? Glass can be shaped in various forms. Durability? A good glass bong will last as long as you want, but only if you keep it clean and keep it from dropping/breaking. Keeping it clean is really easy. It only depends on your cleaning habits. A sturdy glass bong will survive most drops, all within a reasonable height. It will also keep the taste of your herb nice and natural. Glass bongs are also available in any shape, height, size and at any price. Previous: Previous post: What environment are you bringing your glass bong into? Next: Next post: What to look for when buying a Glass Bong or Glass Pipe?